Feeding the baby is one of the greatest worries of all first-time parents. As per the WHO guidelines, a baby should be exclusively breastfed till six months of age. Once the baby crosses the six months age bar, he/she should be provided with complimentary food to meet the growing requirements. But most of the first-time parents are apprehensive when it comes to feeding their baby. What type of food should I start with? What texture should the food be? How do I feed the baby? These are a few of the doubts which most of the parents have. 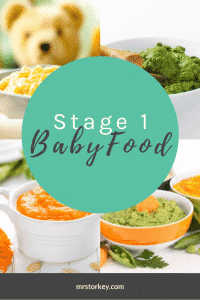 What is Stage 1 Baby Food? Stage 1 refers to 6 -8 months of a baby’s life when solid food is first introduced. Stage 1 baby food are highly pureed and strained food that the baby can easily swallow. This type of food is thin and runny and are lowest in the allergy scale. Cereals like oatmeal, wheat, and barley and vegetables like carrot and butternut squash can be given as stage 1 food. When Should you Start Feeding the Baby? Interest in what others are eating. You can start on oatmeal or wheat depending on your convenience. But always make sure that you cook and puree the food and make it into a fluid consistency before feeding the baby. When you start feeding the baby, there is a very high chance of rejection. The new taste and texture of the food can sometimes be a shocker for the baby. But not all babies behave the same way. Some may start taking the food without any difficulty. Start by feeding half a spoon of the pureed food. Place a small amount of the food at the tip of the tongue. Let the baby adjust itself to the new taste before feeding more. While starting on solids, make sure that you feed only single grain food initially. This way you will be able to make out any allergic reaction which the baby might develop. Continue giving the same food, at the same time of the day till a week. This helps the baby to adjust easily to the new taste. Once the baby accepts the new taste completely, you can start feeding another type of food. As mentioned earlier, you should start with ½ a spoon of the pureed food and slowly increase the quantity.Some parents prepare the food in a running consistency and feed using a bottle. Though this method is convenient, it is not advisable as the baby may not develop the chewing reflex properly. Moreover, there is always the danger of the baby choking on the food. The best way to feed solid to the baby is in a semi-lying position. Place a pillow below the baby’s head and start feeding him/her. You should use a spoon with a soft tip for feeding so that the baby’s gum does not get hurt. Always remember to sterilize the spoon and dish before taking the food. If you are feeding a ready-to-use food to the baby, scoop out one or two spoonsful onto a dish and then feed the baby. This way you can store any unused food for future use. Make sure that the first few feeds are given during daytime so that allergies if any, can easily be detected. Feed the baby when he/she is in a good mood. This is usually after sleep and before he gets too hungry. When Should You Stop Feeding? Turns the head away from the food. Starts playing with the spoon. Below are few interesting recipes for stage 1 baby food you can try out. Oatmeal cereal: Take a quarter cup of oats and grind it finely. Pour ¾ cup of water in a saucepan and bring to boil. Once the water boils, add the oats to it and simmer for 10 minutes. You can add formula or breast milk for added taste. Barley Cereal: Take quarter cup of barley and grind it using a blender. Bring one cup of water to boil and add the powdered barley on to it. Simmer for 10 minutes. Mix breast milk or formula for a different taste. Rice cereal is a common choice when it comes to baby food. However, rice cereal may contain dangerous levels of arsenic compared to other types of cereals. We have written about dangerous chemicals in baby food before, make sure to check it out. When it comes to mushed vegetables there are plenty of great, organic, and healthy options. Sprouts, green beans, sweet potatoes, yams, squash, avocado, etc. 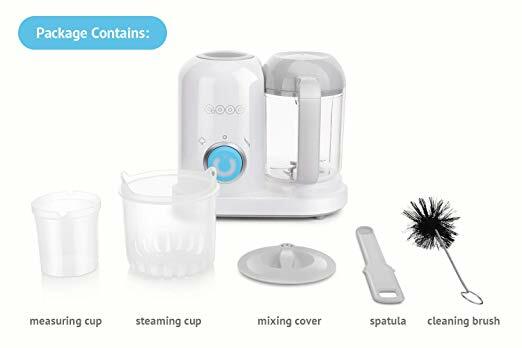 We totally recommend buying a baby food processor. It will save you a ton of work and it allows you to make your own beautiful organic baby food. Once you starting feeding solids to your baby, you might notice a change in his/her bowel pattern. Some babies might even get constipated when weaned from breast milk. Wait for a few days to see whether things will come back to normal. If the baby is heavily constipated, consult his/her doctor. You can even consider changing the baby’s diet. Patience is the key while feeding the baby. Babies usually take a lot of time to mix the food with the saliva and swallow it. Some babies may not even taste the food. Be patient! Let them get accustomed to the new way of having food and the new taste before you can start feeding them varieties.